The food Mechanics at Garage Grill are at it again! They are finely tuning this new dish into a seafood and pub fusion! Combining our Oysters and our new Piston Rings they have delivered a whole new experience for your taste buds. Your Taste Tachometer will be redlining all day! If you enjoy Oysters Rockefeller then we have something for you! 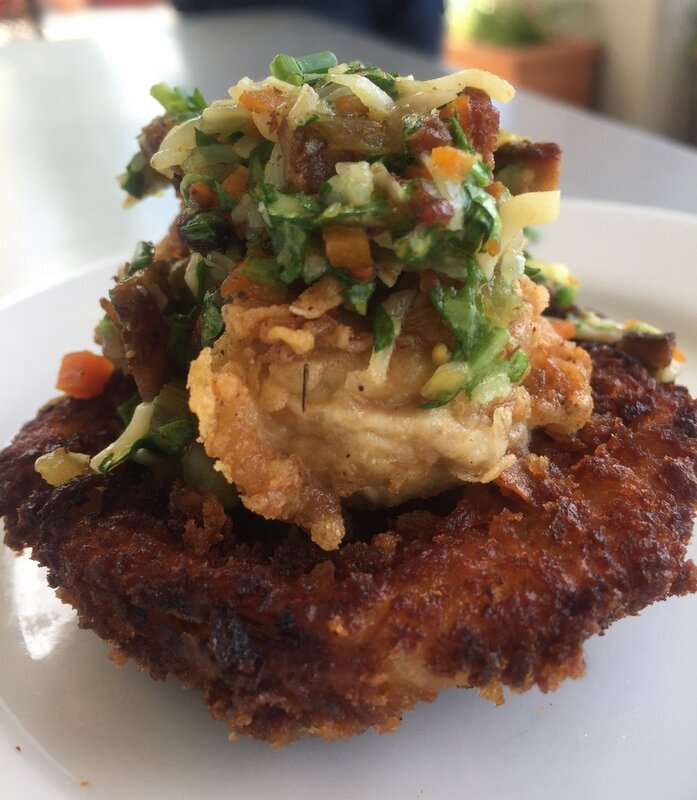 We are serving up a fried oyster on top of an onion ring and finishing it with house-made bacon marmalade and Parmesan cheese! Can you say YUMMM? !